Got your bag packed for the holiday or weekend? While the end of the year is so much fun celebrating with family and friends, the travel is typically not so amazing during the holidays. And while buying presents is on top of the list, after packing the suitcase, there’s not much room left for your own items- much less all the favorite hair products or gadgets that take up space. 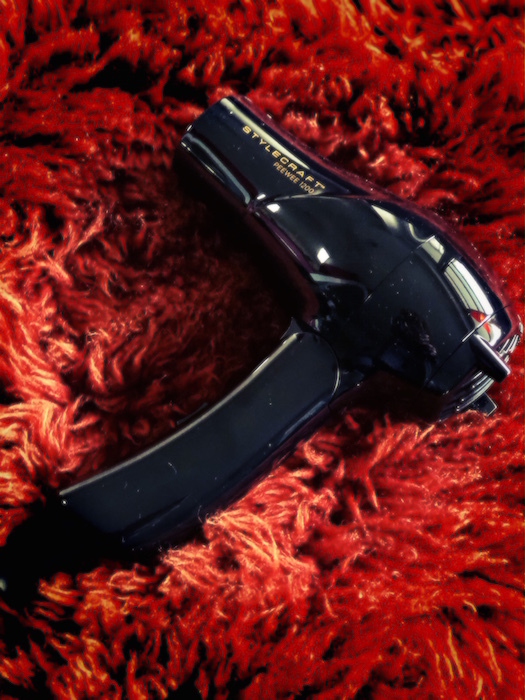 So when I saw Stylecraft’s super cute MINI dryer called ‘PEEWEE’ with its mighty power that can travel well, I got inspired to add in some luxury hair product to go too – (and NOT compromise using whatever is in the shower). 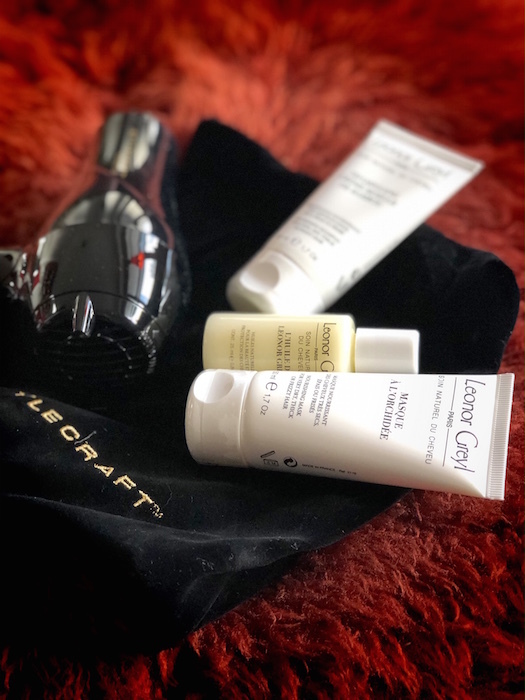 To complement the STYLECRAFT PEEWEE 1200, I picked Leonor Greyl Mask to keep the hair super hydrated, a oil that smells divine and keeps my curls in check, and a travel moisturizing shampoo. Thrilled I don’t have to give up my hair products, and can even carry it all on the flight :). Great hair travels. Yay! Both the hair dryer and products make great gifts too. HAIR gone traveling story + photos by Brigitte Segura. The PeeWee 1200 is a dual-voltage professional travel dryer. A lightweight dryer with a folding handle and comes with a travel bag, making it compact and easy-to-pack. Comes with 7 foot power cord, a built-in stand and two attachments (including a diffuser) for styling. ($39.95). @stylecraftUS. LEONOR GREYL luxury hair products at Thompson Chemists:. TSA approved. Masque Fleurs de Jasmin is a Deep Conditioning Mask for Thin, Dry Hair, with Acacia collagen and vegetal oils nourish, protect and repair hair without weighing it down. Leaves hair soft, shiny and delicately scented. ($19 /65). Huile de Leonor Greyl(Travel Size)- this pre-shampoo oil treatment is most effective if applied to dry hair. It is most effective if applied prior to applying a shampoo or treatment. It is a multi-purpose blend of botanical oils that facilitate detangling, while protecting and nourishing your hair. ($19/51). 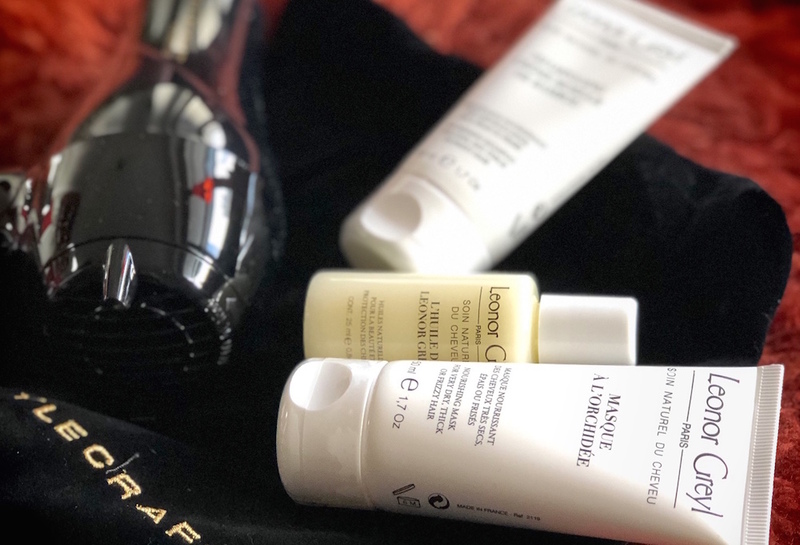 Shampooing Crème Moelle de Bambou Conditioning Shampoo for Dry Hair is a luxurious blend of bamboo marrow, plant extracts, Vitamin B and silk proteins work together to nourish, detangle, regenerate, smooth down and protect your hair. Suitable for all hair types prone to dryness. ($19). @brigitte_segura for @fashiondailymag x @socialcurators (NYC).